U.S. Succeeds in Taking In 10,000 Syrian Refugees—Is That Enough? The governments of some states even went so far as to threaten nonprofits. 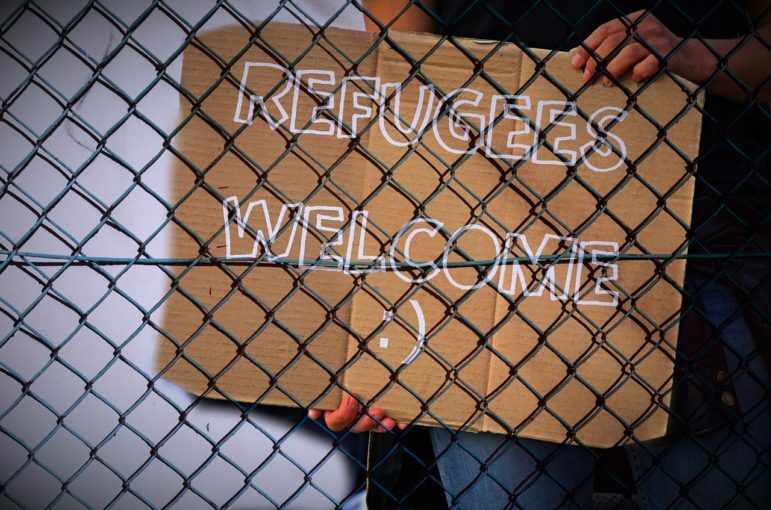 Last November, the Texas Health and Human Services Commission sent a letter to local nonprofits involved in resettlement, asking them to stop serving Syrian refugees by the end of the week. But the resettlement agencies stood their ground, backed by the federal government. In Indiana, U.S. District Judge Tanya Walton Pratt issued an injunction to Governor Mike Pence to stop him from trying to prevent the resettlement of Syrian refugees in that state by stopping the flow of federal dollars to a nonprofit, Exodus Refugee Immigration. The lawsuit claimed that Pence’s decision was constitutionally unfair to Syrians based on their country of origin. Similar lawsuits had been brought by organizations providing refugee services in Alabama and Pennsylvania. But on that same day, a small bit of good news arrived an ocean away. The Obama administration announced that the 10,000th Syrian refugee had touched down in the United States. This goal was reached a month before its deadline—rather extraordinary, given that by the end of June the U.S. had only resettled 5,200 Syrian refugees, leaving only three months to reach the goal of 10,000, and no small feat under any political circumstance, especially given the complex, 18–24 month vetting process for all refugees that is even more stringent for those arriving from Syria. The 20-step process for Syrian refugees entering the country includes registration, interviews, and background checks with the United Nations and the State Department; background checks and fingerprinting from the FBI, Department of Homeland Security, and the Department of Defense; and a match with an American resettlement agency. Unlike refugees from other countries, each Syrian refugee case must be reviewed by a United States Citizenship and Immigration Services refugee specialist. In the last twelve months, the U.S. government has resettled refugees in dozens of states, with the highest number resettling in Michigan and California. Since 2012, Syrian refugees have been placed in 231 cities and towns, mostly affordable, medium-sized cities like Boise, Idaho, and Worcester, Massachusetts, with San Diego accepting more than any other American city. Most were placed in the last three months. Over 85,000 refugees in total will have been resettled by the end of the fiscal year on September 30th, an increase of 15,000 from last year. But it is important to note that the U.S. has been much more welcoming to refugees in the past. In 1979–80, it received over 300,000 Vietnamese refugees, and during the same period took in more than 120,000 Cuban refugees during the Mariel boatlift.